The products of SkinO3® are unscented, contain no colourants, petroleum jelly (vaseline) or preservatives (parabens) and are suitable for all skin types. Olive oil also has unique natural caring properties for the skin and the right proportion of fatty acids (such as Omega fatty acids) and is therefore able to bind and retain the ozone. It has often been scientifically studied, tested (in randomized double blind placebo controlled studies) and proven, that ozone is a powerful oxidizer that kills bacteria and fungi. Therefore it is a tremendous powerful application for skin troubles. After the application of the salve on the skin you can smell the characteristic ozone odour. From that moment the ozone starts to work in your skin. As can be read in scientific literature, we know that it improves the blood circulation of the skin which improves the drainage of waste materials and improves at the same time the supply of nutrients. This helps to reduce various persistent skin problems. It is also a very suitable salve for intimate hygiene and care. 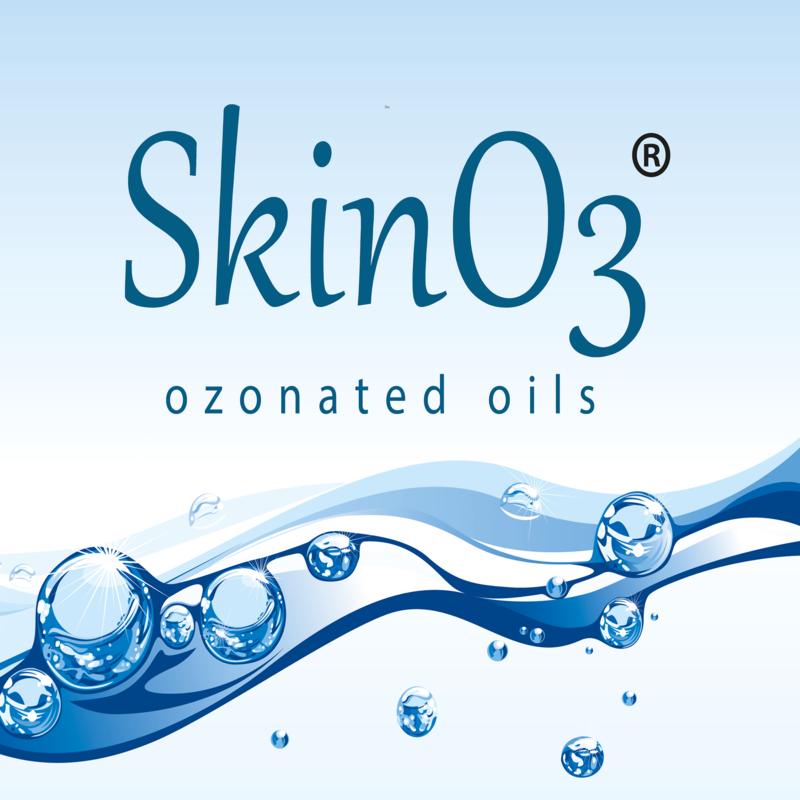 SkinO3® is the brandname of a range ozonated products. We only use ozonated cosmetic vegetable grade oils. The production is according very high quality standards conform NEN ISO 13485. The equipment is according the high Europese standard of 93/42/EEC. All products are according EG Cosmeticsr Regulation nr. 1223/2009. In short, the products of SkinO3® are universally applicable. SkinO3® is a registrered trademark. Viametis BV is owner, developer and distributor of SkinO3®.